All prices include 🚚 FREE UK Delivery. 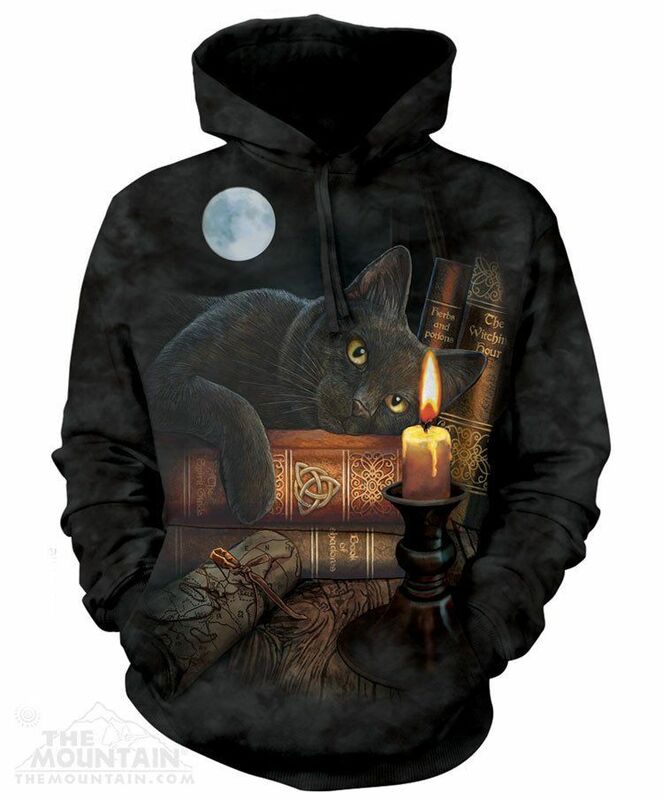 The Witching Hour Hoodie is a hooded sweatshirt by The Mountain® featuring the artwork of Lisa Parker. This black cat hoodie is a pull over sweatshirt with a jersey-lined hood and front hands pocket. 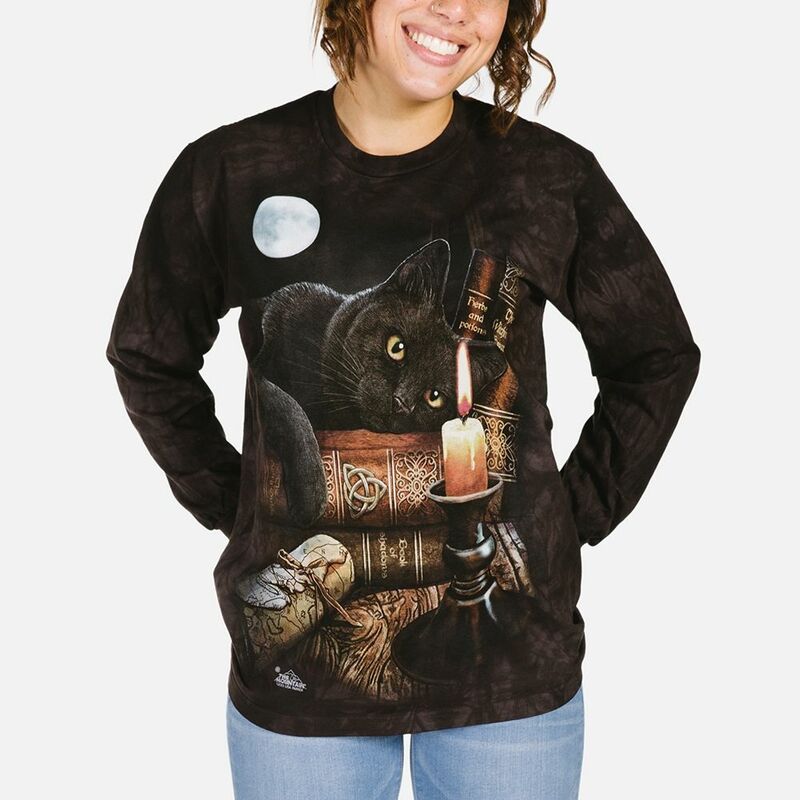 The fantasy design is a witch's black cat lying on a pile of spell books watching a burning candle. Screen printed using water based inks. Prewashed, preshrunk ready to wear. Artist Corner: Lisa Parker is a UK artist who paints everything from wildlife to fantasy. Her black cats and wolves are a particular favourite and can be found on apparel and giftware. Lisa has a massive following both in the UK and worldwide and enjoys interacting with her fans on social media. Size Length in inches Length in cms. Chest in inches Chest in cms. 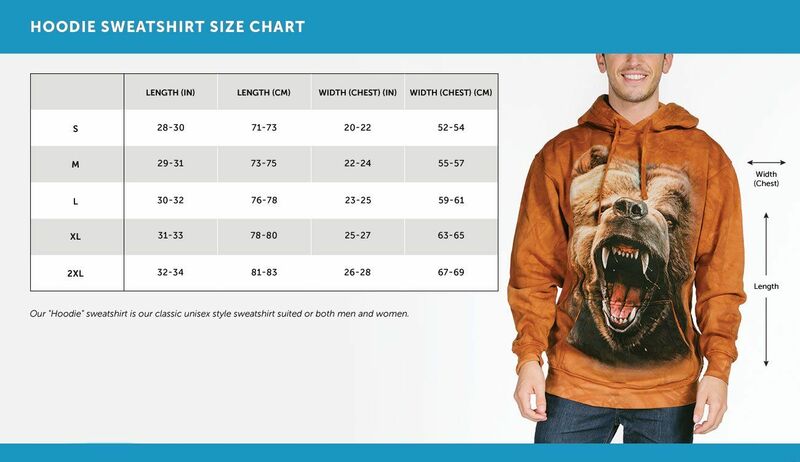 Need help selecting the right size? Take your favourite hoodie and lay it out flat. Measure from the top of the shoulder down to the bottom and this will give you the length. To get the width, measure arm pit to arm pit. Now select the size closest to the chart above. If you know your chest measurements, for example you have a 40 inch chest. You'd half it and select the size from the chart above. Should you still be unsure please use the contact us page and we'll be happy to assist you further. The quality and detailing on this hoodie are excellent and the garment itself is lovely and soft with an almost fleecy-like lining. I can't wait for the cold weather so that I can wear it. This company provides a great service and are always super helpful if you have any queries. "Dear Tam, thank you for exchanging the t-shirt so close to Christmas and making sure it got here in time. You made a little boy very happy"